Posted 04 Feb 2019 by theaveeditor in Misc. ← SUNDAY REVELATIONS: Does God Speak in DNA? 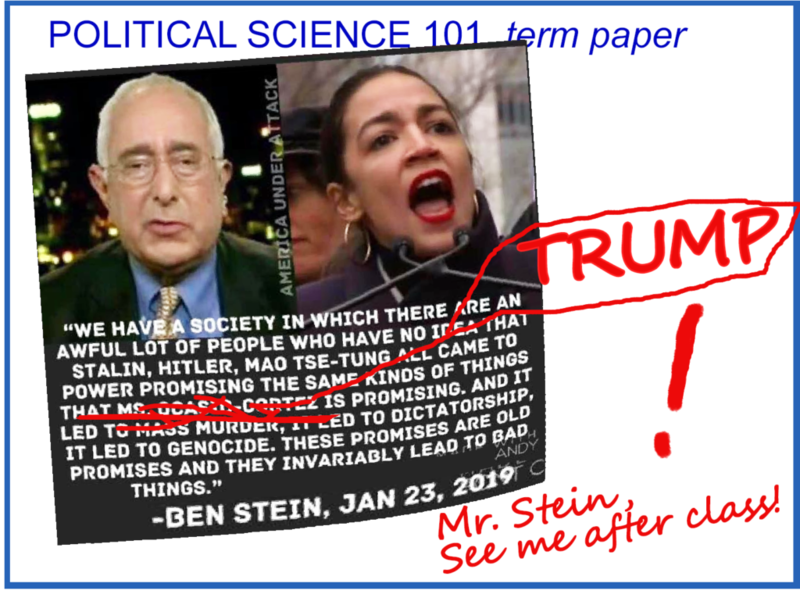 Since the man is a former Professor of Law at Pepperdine it would appear he made tenure, and apparently passed poli sci many years back, but during the cold war. Though admittedly Stalin and Mao got power the old fashion way by seizing the levers of power. Only Hitler of those listed had to work at becoming a party leader, actually lead a party, ect. He could have been a little more imaginative and used the Peron’s, Castro brothers, and Salazar as examples. Conservatives don’t have a problem with socialism when it comes to bailing out farmers or doling billions to giant corps like Boeing and Foxconn.